The ObamaCare Chart: You WILL Get Insurance! 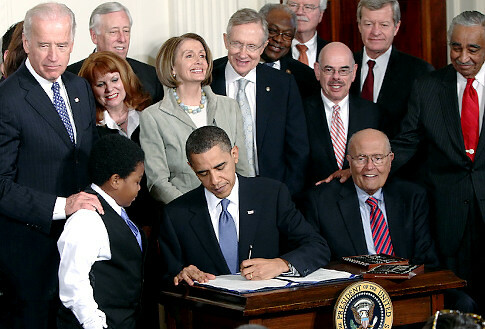 Using a combination of Vedic and Western astrology principles, this article will be an analysis of the Patient Protection and Affordable Care Act signed by President Obama at 11 57 am in Washington, DC on March 23, 2010. This law was “born” during the hour of the exact opposition of the Moon to Pluto, which denotes a very strong intensity, if not fanatical zeal to implement itself. There are three planets in the tenth house in the sign of Pisces. The tenth house is the place highest overhead and relates to those who ruler over us, i.e. the government. Pisces on the cusp denotes an effort to serve others and to sacrifice one’s self in the execution of that service. It’s no secret that the Democrats may pay a dear price indeed later this year with upcoming elections; the Democratic party could well have driven a stake through its own heart in order to get this law on the books. The ruler of Pisces is Jupiter, which in this chart falls in the sign of Aquarius, which is a socially motivated sign that concerns itself with the benefit of the whole rather than the individual. Jupiter is also in the ninth house, which is a house of favor. Those who brought this law about (by hook or by crook, as it were) definitely are buoyed up by the sentiment that that are doing the “right thing” for the world and that good is on their side. Jupiter’s disposing planet here is Saturn , which is in Virgo in the fourth house. 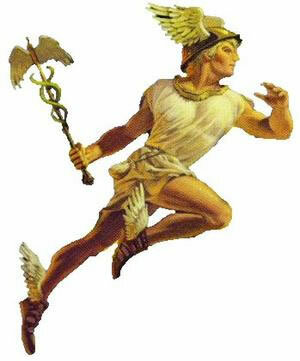 Virgo of course is a sign very connected to healing and practical matters; Saturn however is retrograde, slightly skewing it’s motivations. Saturn is also relatively low in various planetary strength measurements (shad bala and vimshopaka bala), and its disposing planet Mercury is definitely debilitated in Pisces. Therefore the effect of Saturn in this chart is going to be on the dysfunctional side, more or less. Upon looking at this bill, it seems to favor less the “common people” and the insurance companies much more. Coverage is mandated, and the benefits that it hands out is not very much more than what is already provided. Basically the whole population is forced at the point of law to buy their product. 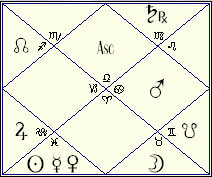 Saturn at the bottom of the chart obviously symbolizes the “enforced” nature of the health services. The fact that an exalted Venus is in the tenth house does not seem to do much as it is hindered by being very late in its sign (27+ degrees). The Moon in Gemini hopefully could be seen as a positive factor to the equation, possibly lending some clarity and reasoning to the approach of the law; but again the aspect of Saturn vedically upon it along with the conjunction of the South Node to it greatly hinders any such altruistic matters. The Moon itself falls in a navamsha (division) of Capricorn, which is its debilitation, again obstructing the nurturing qualities hoped for. The Sun in this chart is hindered also in the different divisional charts (called varga charts); it is in its fall in Libra in the navamsha, its debilitation in Aquarius in the dasamsha, and in a not very nice state in Scorpio in the shastiamsha. There are some good qualities to the Sun, but not as much as you might want for a law of the land. Looking at the chart, you could say that some people will be helped by this legislation and that there were some good intentions behind it. However those good intentions do not seem to be a s great as they are hyped to be. The people it will hurt the most will be middle class, specifically the upper middle class; i.e. small business owner, who employ a lot of people. Jobs will be adversely affected and wages lowered; which will then affect the lower middle class and below. I won’t try to get in to the politics of the whole law; but it does seem to be the manifestation of greater control by authoritative sources over the economy benefiting the corporate side of America; which starts to put us into the realm of fascism. There’s no questioning the power of the insurance lobby in US government, and their influence in the putting together of this bill. The chart of Obama signing the law into effect obviously will be the main chart of the matter, however I have to look also at the chart of the passing of the Heath Care Reform bill in the US House (10:49 pm, March 22, 2010, Washington, DC), which really was the most crucial moment in the “birth” of this law; it was the most heated and the place where it really was “made”. The President signing the bill is merely a formality. This is very interesting to me. The most prominent planet was Mars in the tenth in the caring and nurturing sign of Cancer; except Mars is not an especially caring or nurturing planet. Mars’ mode of taking care of things is “do this, or else!”; especially one so debilitated in Cancer. The Moon itself was exalted in Taurus, which is a very money-oriented sign, but in the secretive and high-powered eighth house. Four (or five if you use Western outer planets) in the sixth/twelfth house axis accentuates the embattled, contentious and behind-closed-doors nature of the legislative process. If you’ll recall they seriously considered throwing out a vote and using a convoluted “deem and pass” measure. If you overlay the Health Act chart on the chart of the US (7-4-1776, Philadephia, PA, 5.12 pm) a few significant things come up. Click on the image to enlarge. The Moon/Pluto opposition falls very close to the US natal Venus in Gemini; the US’s twelfth house ruler in the eighth house. Twelfth ruler in the eighth can be a highly secretive and possibly detrimental point. Even though it is Venus, it has deep indications of something which could be either tremendously transformative and transcendant, but also detrimental. The Health Act Mars falls in very tight opposition to the US natal Pluto, which again echoes the potential deep upset and fanatical execution of power that is heedless of consequences. You can also see the transiting South Node beginning to conjunct the US natal Sun in Gemini, which is basically another permutation on the Mars/Pluto theme immediately above, less catastrophic but dangerous regarding the use of power and authority. Note to advanced students: when you use sidereal charts the positions are automatically precession-corrected and you get some pretty smack-dead-on “hits” with transits and chart comparisons, especially of charts of widely divergent birthtimes. One more point favoring the sidereal zodiac….